The Kwara State Government clarified that, contrary to public speculation, the state’s current debt portfolio stands at N30,203,632,608.29 with a monthly repayment of N496,367,109.08. According to the State Commissioner for Finance, Alhaji Demola Banu, the debt stood at N31,481,082,712.95 in 2017 and N30,751,665,421.83 at the end of 2018, contrary to social media speculation of N50.2b. Giving a breakdown of the current indebtedness, Banu explained that the N30.2b includes N15,325,541,483.03 as the balance of the Federal Government restructured loan, N4,002,948,667.07 as salary bail out, excess crude account loan outstanding of N9,324,613,607.52 and vehicle loan balance of N128,916,612.87. Others are the Commercial Agriculture Credit Scheme (CACS) and Anchor Borrowers Programme (ABP) Agriculture Scheme with respective balances of N646,213,285.03 and N679,233,857.13 as well as International Aviation College loan balance of N96,165,095.64. While clarifying that the repayment of N496,367,109.08 is deducted from the state’s monthly federal allocation, Banu added that the figure includes a monthly deduction of N39,632,016.56 as repayment for foreign loans obtained by the government in the 1970s. Giving a further breakdown, Alhaji Banu explained that the federal government restructured the state government’s short- and long-term bank loans to reduce monthly repayment, while the state also benefitted from a N5b salary bailout loan in 2015. 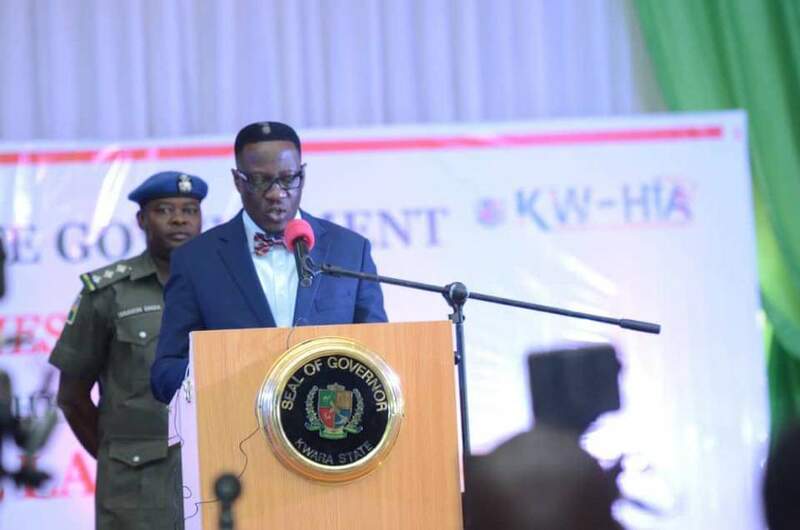 Additionally, the commissioner stated that the excess crude account loans were federal government-backed bank facilities which served as seed money for the Kwara State Infrastructure Development Fund (IF-K) and payment for ongoing projects in the state while CACS and ABP are state-government guaranteed Central Bank of Nigeria (CBN) loans to farmers in the state.